It can be hard to know what to do with your animals when you're faced with an emergency evacuation or accident. It's imperative that first responders, animal owners and veterinarians all be prepared and trained to handle emergency situations. As an example, a state of emergency has been declared in 50 of California's 58 counties, and animal safety has come to the forefront as floods and fires are occurring more often. While disaster preparation and plans have been put in place for human and property safety, there is a lack of funding and cohesive animal care in disaster planning, reports UC Davis. 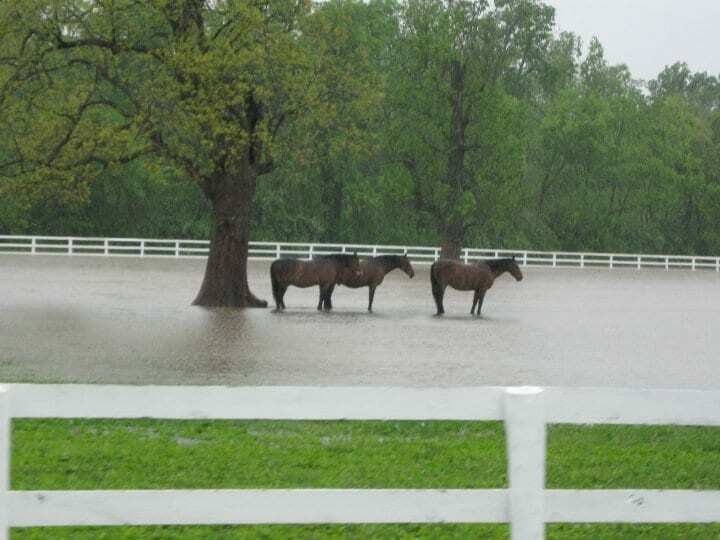 Because of this, the Center for Equine Health (CEH) at UC Davis has teamed up with the International Animal Welfare Training Institute and other entities in the School of Veterinary Medicine to support major advances in disaster preparedness. Green is the co-founder and director of the British Animal Rescue and Trauma Care Association and has developed mechanisms to train veterinarians and rescue personnel for everyday incidents and to share best practices in technical rescue. He will coordinate with the university as well as local and state emergency response stakeholders to investigate a similar standard operating procedure in California. In return, Green has an interest in learning about the impact of large scale disasters and community preparedness throughout the state. Veterinarians, first responders and horse owners interested in receiving updates about related activities and training opportunities through this project can send their name and address to: [email protected]. Further updates can be found on the Disaster Preparedness page of the CEH website. This project is a tremendous investment in equine welfare that will benefit horses for years to come. Horse enthusiasts interested in supporting this effort can give online. Donations can also be mailed to UC Davis Center for Equine Health, One Shields Avenue, Davis, CA 95616. This entry was posted in Horse Care and tagged evacuation, fire, flood, horse, natural disaster, uc davis by Edited Press Release. Bookmark the permalink.